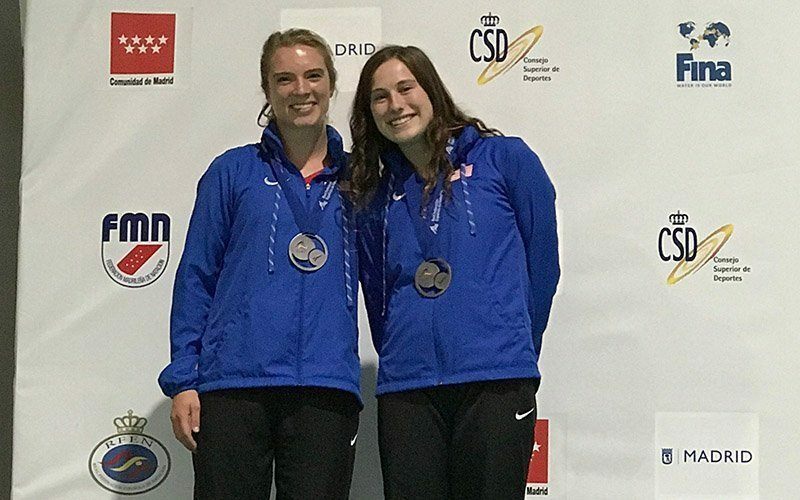 MADRID, Spain – Competition continued for Team USA at the Madrid Grand Prix as Olivia Rosendahl (Los Angeles, Calif./Evanston, Ill.) and Katrina Young (Shoreline, Wash./Tallahassee, Fla.) captured the silver medal in the women’s 10-meter synchro. Grayson Campbell (Vienna, Va./Austin, Texas) and Greg Duncan (Oakton, Va.) finished eighth and ninth overall in the men’s 3-meter. 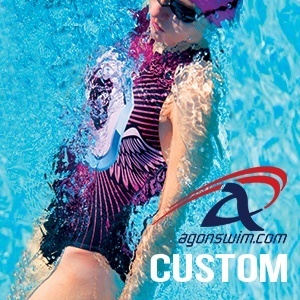 Murphy Bromberg (Bexley, Ohio/Austin, Texas) and Amy Cozad Magaña (Indianapolis, Ind.) advanced to the women’s 10-meter platform finals after placing second and third in their semifinal group. Rosendahl and Young scored 302.46 points Saturday, just 3.66 points shy of China’s Jiao Jingjing and Zhang Xiaotong, who clinched the gold medal. The American pair began competition at second place following a reverse ½ pike for 45.60 points, 3.6 points behind Jiao and Zhang. They held their spot in the next round after a back ½ pike scored Rosendahl and Young 48.00 points. In the third round, the duo moved up to first place with an inward 3 ½ tuck for 72.00 points. China was able to take back the top spot in the fourth round. Rosendahl and Young held on to second place, ending the finals with their strongest dive, a back 2 ½ somersaults with 1 ½ twists for 72.96 points to seal their silver medals. Macao China’s Sut Chan Leong and Sut In Leong placed third with 193.89 points. Campbell placed eighth overall after scoring 356.60 points to finish fifth in the men’s 3-meter semifinal A. He started out in fourth place when a front 3 ½ pike scored 65.10 points. Campbell remained at fourth in the second round but slipped to fifth in the third round after a missed reverse 2 ½ pike for 40.50 points. Campbell held on to fifth place for the rest of competition and had his strongest dive in the fifth round with a reverse 1 ½ somersaults with 3 ½ twists for 73.50 points. China’s Liu Chengming led Campbell by 19.3 points for fourth place. 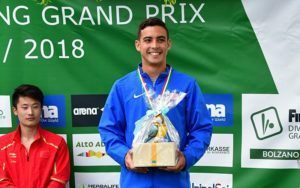 Duncan competed in semifinal B group in the men’s 3-meter, where he ended competition fourth in his group and ninth overall with 342.85 points Despite not advancing to the finals, Duncan began competition strong after a front 3 ½ pike for 68.20 points put the Virginia native at second. The diver struggled in the second and third rounds as he missed a back 2 ½ pike and a reverse 3 ½ tuck to drop fifth and then sixth. In the fifth round Duncan was able to move back to fifth place when a reverse 1 ½ somersaults with 3 ½ twists scored 68.25 points. He moved up to fourth place in the final round after a front 2 ½ somersaults with 2 twists for 71.40 points, just 24.80 points shy of France’s Alexis Jandard and a spot to compete in the finals. Both Bromberg and Magaña competed in the semifinal B group of the women’s 10-meter finals where they scored 320.75 points and 298.50 points to advance to Sunday’s finals. Magaña began competition at second following her strongest dive, a back 2 ½ somersaults with 1 ½ twists for 67.20 points, while Bromberg started at third after an inward 3 ½ tuck scored 57.60 points. Bromberg and Magaña held their spots in the second round, before Bromberg moved up to second in the third round on a back 3 ½ tuck for 84.15 points, her best dive of the day. Magaña slipped to third on a back 3 ½ tuck that resulted in 59.40 points. Bromberg and Magaña held on to their spots in the final two rounds, while Zhang placed first with 346.85 points. The Madrid FINA Grand Prix continues Sunday with Bromberg and Magaña competing in the women’s 10-meter finals. Campbell and Duncan will return to the boards as they compete in the men’s 3-meter synchro finals. Alison Gibson (Austin, Texas) and Krysta Palmer (Carson City, Nev./Reno, Nev.) will dive in the women’s 3-meter synchro finals. The FINA Grand Prix can be watched live on FINA TV and on La Liga 4 Sports.